Conrad "Connie" Wirth was born in Hartford, Connecticut, in 1899, to Theodore and Leonie Mense Wirth. The senior Wirth, horticulturist, park planner, and administrator, and best remembered for his directorship of the greatly admired Minneapolis park system, imbued the second of his three sons with a lifelong passion for parks for the people. Conrad earned a Bachelor of Science degree in landscape gardening from Massachusetts Agricultural College (now the University of Massachusetts). In 1926 he married Helen Olson, his tireless helpmate and supporter of the National Park Service until her death in 1990. After a few years in the private practice of landscape planning. Wirth embarked upon his federal career in 1928 as a member of the National Capital Park and Planning Commission. 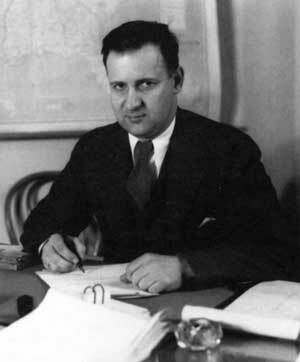 In 1931, Horace Albright brought him into the National Park Service as an assistant director for Land Planning. He continued in this capacity under Arno Cammerer and Newton B. Drury, and was named in 1951 as an associate director by Arthur E. Demaray. During the Roosevelt administration, Wirth distinguished himself with his brilliant implementation of Civilian Conservation Corps programs in support of federal, state, and local parks. He conceived Mission 66 and masterminded White House and congressional support for this herculean effort to, in his own words, . . . overcome the inroads of neglect and to restore to the American people a National Park System adequate for their needs." The program and Wirth were criticized by many in the conservation movement as self-serving development. But Park Service employees were heartened by the ten-year $1 billion program that ended during the Service's 50th anniversary year in 1966. It produced not only such tangible items as 2,000 new employee residences, 150 new museums and visitor centers, and the training centers at Harpers Ferry and the Grand Canyon, but also fostered a spiritual rejuvenation within the "National Park Service family." It was a time when things were held together with something more serviceable than paper clips and baling wire.